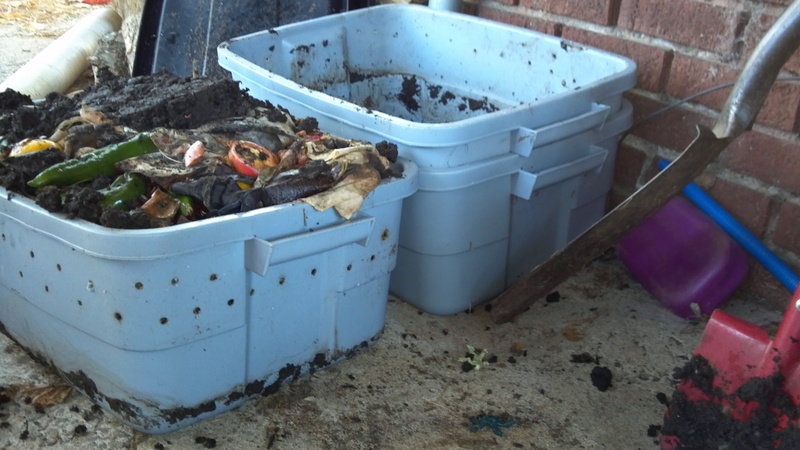 A few months ago I bought some worms and made worm-composting bins. My boys and I have been feeding them kitchen scraps every week or so since then. It’s been a fairly low-maintenance venture, and worms don’t sting, so I don’t have to don a hot (not figuratively) bee suit every time I need to feed them and/or check on them. The only real negative was the gigantic fruit fly swarm that materialized mid-August when I hadn’t put enough dirt on top of the veggie and fruit scraps in the bins. 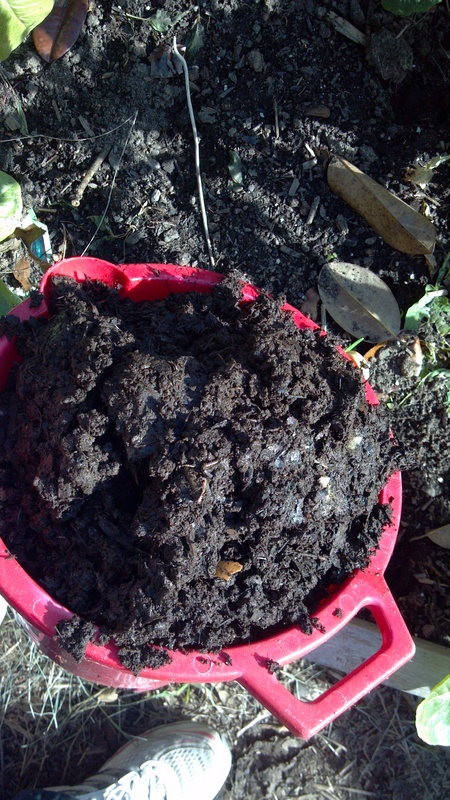 Otherwise, it was just like any healthy composting set-up with no smell at all. Those redworms have been busy. I tried to lift up the top bin and almost pulled my back out. I finally hoisted it off and the middle bin was full of dark castings. Top bin compared to final product -- castings! I’d been feeding the worms only in the top bin so they’d pretty much all migrated up, so I only had to fish a couple of them out of there and transfer them to the top. So, as I’d suspected when we started composting with worms, our system wasn’t big enough to handle all our kitchen’s compostables. However, they ate more than I’d thought they would — maybe 75% of the stuff that would have gone into our regular compost bins out in the side yard. I put all the castings into one of my raised beds where I’ve got some dinosaur kale growing. 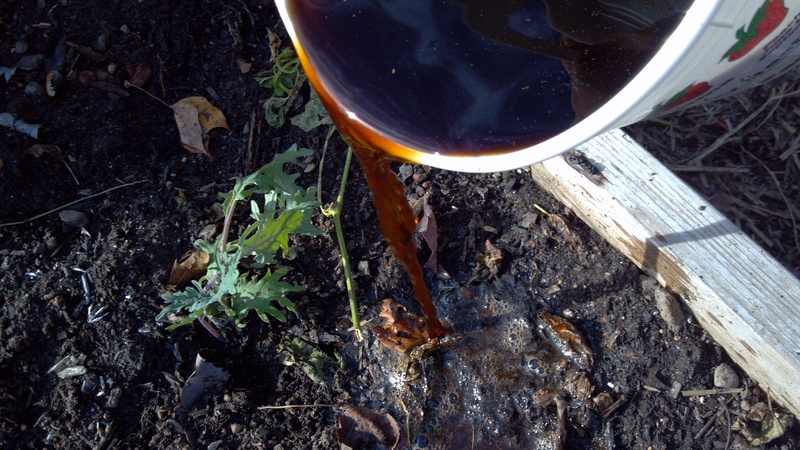 I poured the leachate around the arugula, mache, and red russian kale in another raised bed. 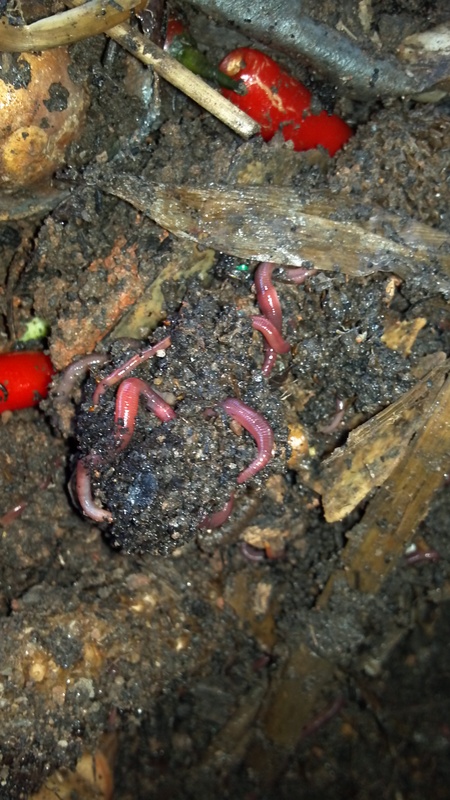 Now it’s time for the worm bins to go back into the basement for winter as we’re getting into freezing temps at night. And I’ll be keeping an eye on the winter greens on into spring to see how they benefit from our worm composting venture…. 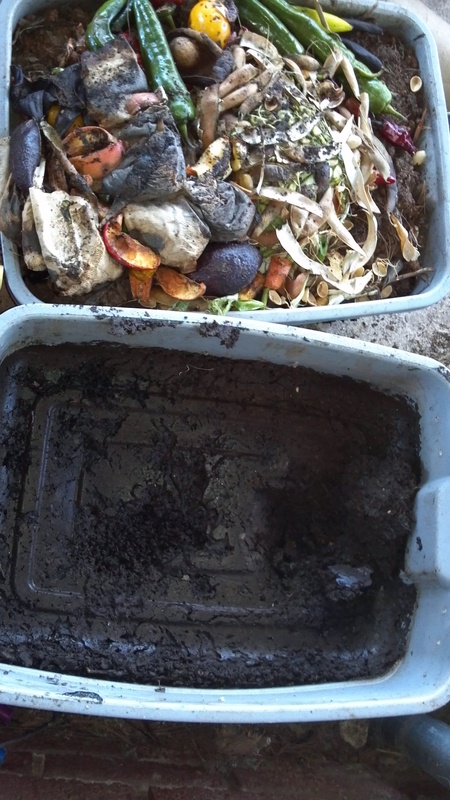 Someone I used to work with did worm bins and also set up some local schools to compost some of their scraps. Really cool.